Aggregate of white acicular Skorpionite crystals. They are very bright and very rich for the species. 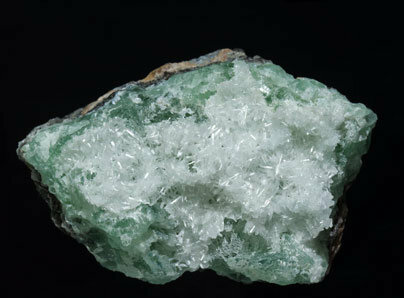 The Skorpionite, very fluorescent under a UV lamp,is coating a matrix with Tarbuttite crystals with a uniform green color.